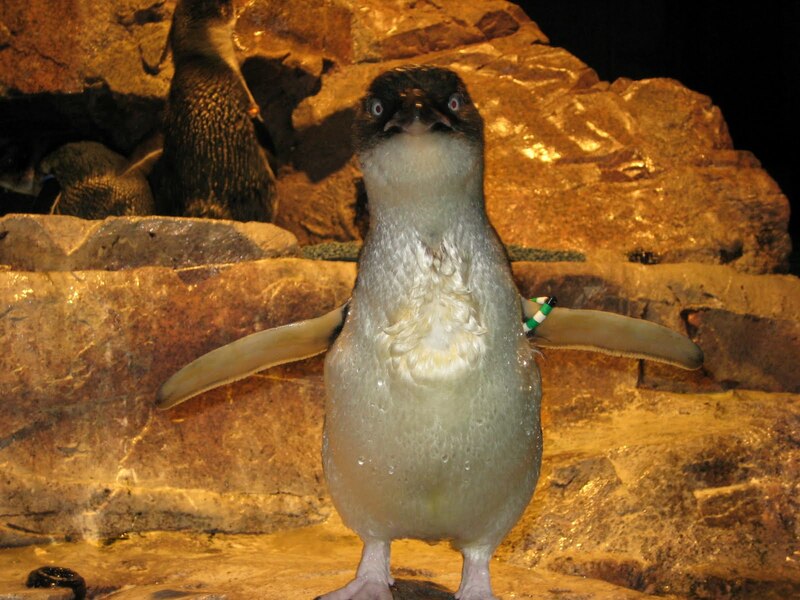 This is Montague; he is a little blue penguin with a green and white bracelet on his left wing. He was born here at the Aquarium on April 7, 2008. He is named after Montague Island, which is located off the south coast of New South Wales, Australia. Montague Island has a large population of little blue penguins because it is free of introduced predators like feral cats or foxes. But there is an introduced plant that is effecting the little blue breeding population on this island. Kikuyu grass is a dense grass that was introduced to the island in the early 1900's as livestock feed. 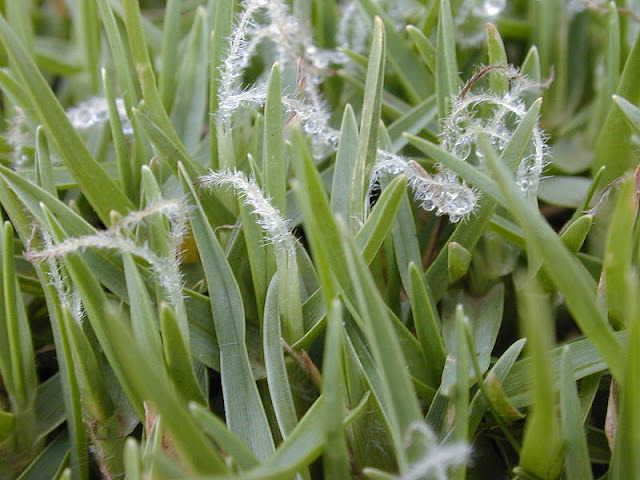 This grass is so dense that it forms a mat which burrow nesting birds, like little blue penguins and shearwaters, can not penetrate to get to their nest burrows. Those that do penetrate the kikuyu often become entangled and die. A Seabird Habitat and Restoration Program has proved highly successful in controlling and reducing the spread of kikuyu grass and restoring degraded seabird habitat on the Island. Montague spends most of the day swimming in the exhibit. If you can't find him in the exhibit he is probably hiding under one of the penguin islands. Guest Post: Let's learn about penguins!